From the page of all cases under Activities > Cases. From the Additional Information section on the page of the user to whom the case was assigned. From the Additional Information section on the page of a contact related to the case. From the Additional Information section on the page of an account related to the case. 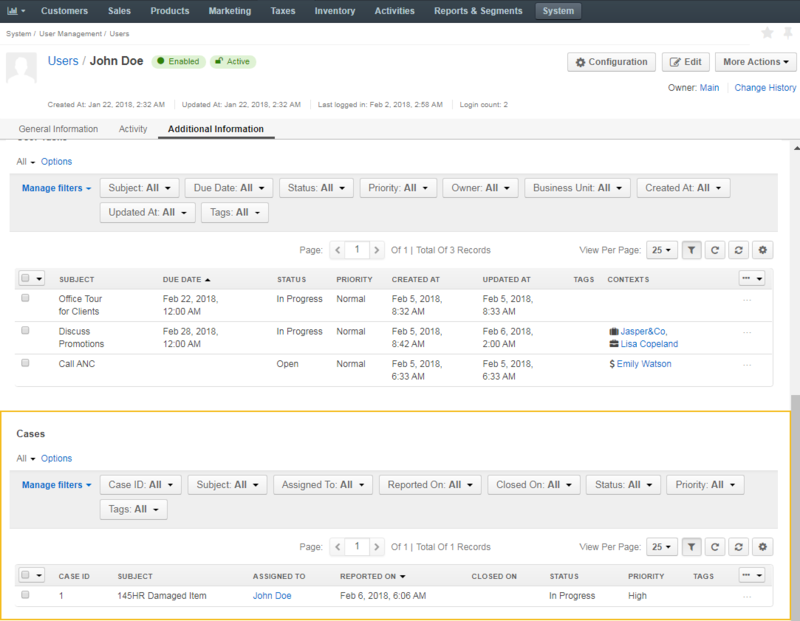 The tasks can also be mapped to the Zendesk account as described in the Integration with Zendesk topic. Keep in mind that the ability to view and edit cases depends on specific roles and permissions defined in the system.